Mr. Kirkpatrick’s career spans over 30 years in Business Development, Sales Management, Marketing and Human Resources. He became the President and CEO of Eco Engineering in September 1998. Mr. Kirkpatrick spent 19 years with the Procter & Gamble Company, progressing rapidly through positions of increasing responsibility in Sales Management, Marketing, and Human Resources. During his tenure at P&G, Mr. Kirkpatrick was responsible for managing both the Eastern and Western Sales Divisions, and held positions as Corporate Market Manager, and Manager of Sales Recruiting, Training and Development. In 1995, Mr. Kirkpatrick was named Vice President, Market Development for MATRIXX Marketing, Inc., the global teleservices and customer care subsidiary of Cincinnati Bell. 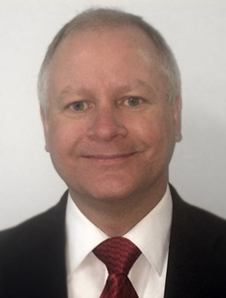 While at MATRIXX, Mr. Kirkpatrick was the senior executive responsible for US sales and marketing activities. Under his leadership the organization grew from $226M to $447M in annual revenues in three years. At Eco Engineering, Mr. Kirkpatrick is responsible for the overall management of the firm, including strategic planning, business partnerships, finance and human resources. 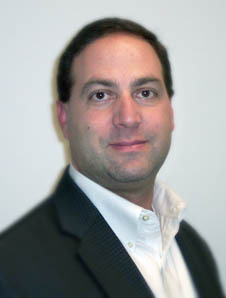 He is a frequent speaker on Energy Efficient Lighting best practices at Industry conferences. He is a graduate of Michigan State University and the Executive Development Program of the Kellogg Graduate School of Management at Northwestern University. 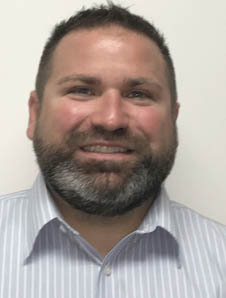 Brian Roth joined Eco Engineering in 1999 and is currently responsible for the Client Management Organization which develops new services and delivers Eco Engineering capabilities to meet strategic client needs. Mr. Roth’s experience includes deploying lighting and lighting control system upgrades for a variety of commercial, industrial, education, and municipality properties. Brian originally spent five years in the lighting industry with Roth Brothers, Inc., a family owned, regional ESCO in northeast Ohio that was subsequently acquired by First Energy Corp.
Brian holds a BA in Economics from Oberlin College, an MBA from Xavier University and is a Certified Lighting Efficiency Professional (CLEP) from the Association of Energy Engineers. 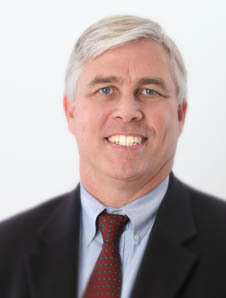 Bill Brunette joined Eco Engineering in 2012 and leads the company’s Sales and Marketing organization. Prior to joining Eco Engineering, Mr. 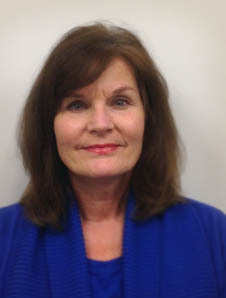 Brunette served as Principal for Mercer, a global HR consulting firm. Mr. Brunette also served in a variety of sales and corporate development leadership roles at Convergys, an outsourced customer care and telecommunications billing services firm. Bill also worked with NCR Corporation in its Detroit office. Mr. Brunette holds a BS in Industrial Management from Purdue University and an MBA from the University of Michigan. Robb McCoy joined Eco Engineering in 2016 and is responsible for the Accounting and Finance Department. Mr. McCoy’s experience includes 25 years in the manufacturing, primarily metal stamping, industry overseeing many areas of the company, including Finance, Accounting and IT, Operations Manager, and Human Resource Manager, Mr. McCoy was also the Quality Management Rep for ten years and oversaw the ISO 9000 implementation and certification. Mr. McCoy also worked for Aronowitz, Chaiken and Hardesty, a local CPA firm prior to moving to industry. Mr. McCoy holds a BBA in Accounting from University of Cincinnati and has been a Certified Public Accountant since 1988. 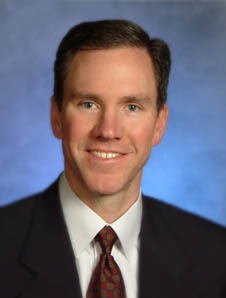 In 2006, Robb completed the Xavier University Executive Leadership Program. Ms. Gandee has held a variety of positions with leading companies in the Greater Cincinnati area over the past twenty years including U.S. Shoe, and most recently, the Convergys Corporation, a customer care and billing subsidiary of Cincinnati Bell. Her responsibilities included serving as Senior Executive Assistant responsible for planning events, financial tracking, facility issues, and key personnel responsibilities. Ms. Gandee joined Eco Engineering in 1998 with responsibility for the corporate financial, accounting, and administration systems. 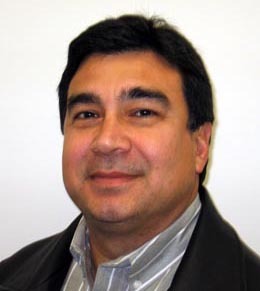 Clint Gonzales, Director of Operations, joined Eco Engineering in 2007 bringing over 25 years of experience in the electrical and lighting industry. Clint currently leads the Operations department at Eco Engineering. Mr. Gonzales previously served as Division Manager of Precede, the unit responsible for turnkey lighting installations at Acuity Brands. During this tenure he served as the manager of the department responsible for all aspects of lighting installations among several National Accounts. Mr. Gonzales began his carrier as an electrician in 1981. In 1987, he began working for a small lighting retrofit installation company which grew into a multimillion dollar business before being sold to a public company. His duties have grown from personally managing installations to developing lighting audit and project management processes for large scale projects involving Fortune 500 customers. His experience in project management and lighting installations have led to the successful completion of over 4,000 energy efficient lighting projects covering the retail, industrial, commercial, and government sites. Mr. Gonzales has been a licensed electrician for more than 30 years and currently holds a Masters Electrical license. He also is the qualified party for numerous state contractor licenses. Mr. Dulle’s professional career began in the United States Army, where he worked as an Electronic Repairman and Tank Crewman. He was awarded an Army Commendation Medal, and Army Good Conduct Medal, and an Army Achievement Medal before completing his military commitment. Immediately prior to joining Eco Engineering, he spent three years with AK Steel as an Electrical Maintenance Engineer, where he developed skills involving the management of large projects along with engineering new installations and implementing critical design changes. Mr. Dulle joined Eco Engineering in 2005 as a Sales Support Engineer, and was promoted to run the Engineering department in 2007. He is a Certified Lighting Efficiency Professional (CLEP) through the Association of Energy Engineers. Mr. Dulle has a Bachelor’s degree in Electro-Mechanical Engineering and an Associates degree in Electrical Engineering Technology from Miami University in Oxford, Ohio. Mr. Prabell Joined Eco Engineering in 2008 as a Project Manager. He was promoted to Manager of Installation and Construction in 2015. Mr. Prabell brings to Eco Engineering a proven leadership, a very successful project management track record, field expertise and the exceptional ability to construct and facilitate diverse and cohesive teams. 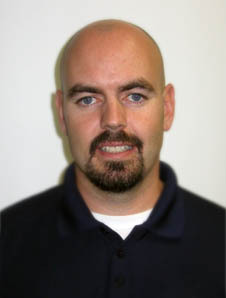 Prior to joining Eco Engineering, Mr. Prabell excelled in multiple management positions as a Lead Electrician- leading the for energy efficient implementations; a Corporate Estimator at a leading construction company forecasting budgets and specializing in value engineering; and most recently as a Facilities Manager- managing all buildings and grounds consisting of corporate offices, a school, therapeutic apartments, a horse farm, festival grounds, athletic fields and multiple other buildings on 80 acres of property. Mr. Prabell earned a Bachelor of Science majoring in Construction Management and minoring in Business Administration as well as an Associate’s Degree in Construction Technologies both from Northern Kentucky University. He also earned a diploma in Industrial Electricity from Gateway Community College. Mr. Prabell (an Eagle Scout) is very supportive of his community. He sits on several non-profit committees, has led work for Habitat for Humanity, Help Build Hope, Housing Opportunities of Northern Kentucky, served as a mentor for Youth-build and is a coach for Kentucky Special Olympics. Mr. Krishnamurthy, a Professional Engineer and native of India, joined Eco Engineering in 2005 after completing his Master of Science Degree in Electrical Engineering from The University of Cincinnati. He distinguished himself in the Master’s program both with his design work in the wave Electronics Laboratory, and with his work as a Graduate assistant in the Student Services area. He was the recipient of numerous awards including the University Graduate Scholarship, a Teaching Assistantship, as well as being involved with the Institute of Electrical and Electronics Engineers. 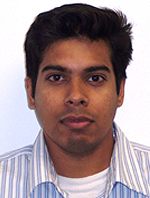 Mr. Krishnamurthy’s Undergraduate degree is from the University of Madras. Mr. Krishnamurthy serves as the Engineer in charge for Eco Engineering, encompassing complete responsibility for all professional engineering activities undertaken on behalf of customers.